Was it a benching? Maurice “Amazing” Stückenschneider will take a two week break from competition. European team Fnatic is the most storied franchise in the EU League Championship Series. After struggling to end Season 6, they signed stars in the top lane and jungle to help recapture the glory of past years. That made today’s announcement that jungler Maurice “Amazing” Stückenschneider will take a two week break from competitive play extremely surprising. After struggling through an uneven couple of weeks, Fnatic has elevated Mads “Broxah” Brock-Pedersen from their EU Challenger Series team to replace Amazing. The straight-up replacement is shocking from a narrative perspective. Amazing was supposed to team up with Paul “sOAZ” Boyer to stabilize the top half of the map in a manner reminiscent of the team’s 2015 squad, which featured Heo “Huni” Seung-hoon and Kim “Reignover” Yeu-jin. But the results have just not been there for Amazing. Pick almost any statistic and he falls at the bottom of the EU LCS tables. Not known as a strong early-game jungler like G2’s Kim “Trick” Gang-Yun, Amazing’s weaknesses continue to be exposed, especially in a meta where significant damage is expected out of the jungle position. 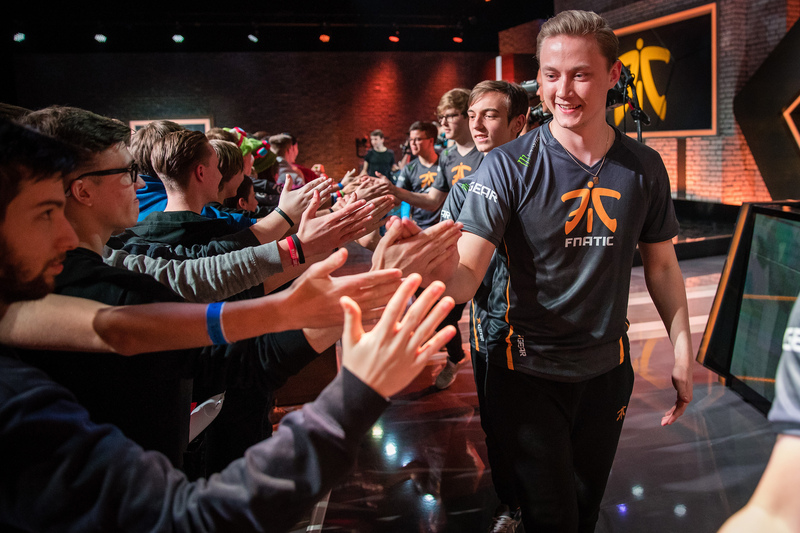 He hasn’t played a critical role in Fnatic’s wins, and in losses he’s even more invisible. Not all of that is his fault—mid laner Rasmus “Caps” Winther has struggled to translate CS leads into map pressure and ADC Martin “Rekkles” Larsson is a famously lane-oriented player. Meanwhile, Broxah has been serviceable for a strong team in the Challenger Series, but it’s anyone’s guess how he will fare in the LCS. If Fnatic are looking for someone to carry, he doesn’t quite look like the answer. Then there are the questions posed by the nature of this move. What is Fnatic hoping Amazing will gain over a two week break? Why are they bringing in a third player to take Broxah’s spot on the CS roster? Is this simply a break for Amazing or is the team hoping Broxah is a long-term solution? Some of these questions were inevitable when Fnatic created a 10-man roster and indicated that substitutions would happen throughout the year. We should not be quick to overreact, especially when the team is still 2-2, with one loss to league-leading G2. This could be much ado about nothing. Even so, Fnatic has a lot of work to do to just to maintain their playoff spot amid all this uncertainty.